Details about The Endless River, the new PINK FLOYD album from David Gilmour, Rick Wright and Nick Mason, have been revealed. The album will be released via Columbia Records on Tuesday, November 11th, and is produced by David Gilmour, Phil Manzanera, Youth and Andy Jackson. 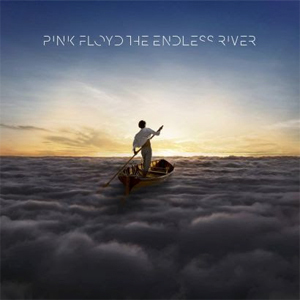 The Endless River is mainly a four-sided instrumental album with one song, “Louder Than Words”, which will include new lyrics by Polly Samson. The concept for the powerful imagery of a man rowing on a “river” of clouds was created by Ahmed Emad Eldin, an 18-year-old Egyptian digital artist. Ahmed’s image was then re-created by Stylorouge, award-winning UK design agency.